Disneyland is a very popular vacation destination for so many people! Planning your Disneyland Vacation, you will learn can be a pretty expensive vacation. Everything seems to add up fairly quickly but, the memories that are made are incredible. Here are some tips and tricks to help you maximize your time and money! Buy your tickets online in advance. Doing this will keep your tickets prices lower and as a bonus, it will save you time when you arrive. If you sign up for a 3 day (or longer) ticket you will be eligible for ‘Magic Morning’ (early entrance on one day during your visit). You can also save some money on ticket prices using CityPASS or buying through your Costco membership. Another great thing to remember is that while a Park Hopper pass lets you get into both parks on the same day, it may not be a wise investment. If you want to experience both parks, but don’t want to pay extra for park hopper, don’t. Simply choose which park you want to visit each day. A 3 day pass allows you entrance to either park, but once you enter one park, you can only go to that park on that day. So, you can go to Disneyland today, California Adventure tomorrow, and back at Disneyland for your last day. The Park Hopper just allows you to go back and forth in the same day. The timing of when you go can greatly impact your experience. The time of year really doesn’t matter too much for crowds, but, you need to make sure that it is a time that you and your family can relax and have a good time. If you go during a stressful time for your family it will harder to relax and truly enjoy yourselves. Summer months are the warmest in Southern California, and they are the busiest. In fact, Disneyland has a few higher traffic days around holidays, Christmas, 4th of July, Thanksgiving, and Spring Break. One of the slowest times of the year in the park is actually on Super Bowl Sunday. February is one of the best months to visit for lower crowds, but prices won’t change for particular dates. The weather is best in the fall and Spring, but Disneyland is one place that doesn’t get as hot as many theme parks, so you’ll easily be able to enjoy the park regardless of the dates you visit. Staying anywhere close by is great but, if you stay on the property you will have a more immersive vacation experience. There are three hotels on the property to choose from. For each night you stay you will be granted an extra magic hour for staying on the property. Plus you will be able to use the dedicated entrance to Disney California Adventure. Do a thorough cost comparison prior to booking. Staying within the blocks around Disneyland can be nearly the same price, and then you need to calculate the cost of using public transit or parking. 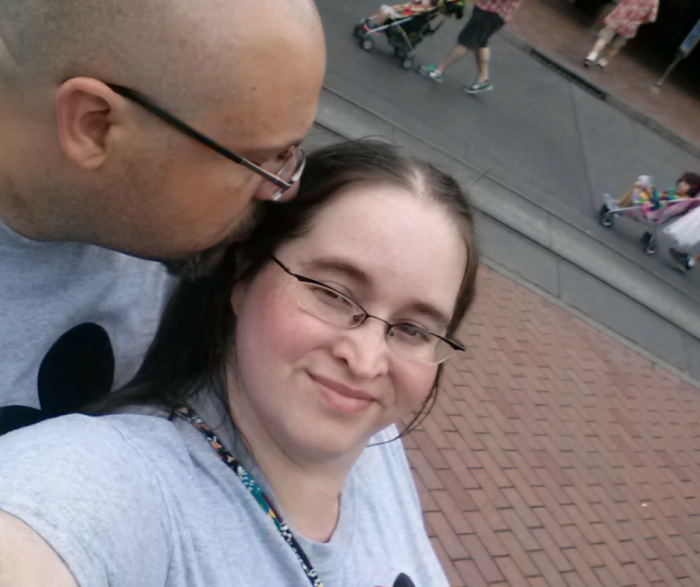 On our last stay near Disneyland, we found out that if we had booked an on property hotel, we would have only been paying about $100 more on our total vacation expense. It would have been worth it to have a place to go crash miday or a shorter walk to our room at night. We do recommend checking with Endless Vacation Rentals and Groupon for good deals on hotels and/or housing nearby. Vacation homes may make the experience even more budget-friendly and easy to manage. Going through security can be stressful but, it can be made easier if you are prepared. Have your bags ready to be inspected, keys and other things ready to be put through the security scanner. If there are any items on your person that may make the scanner go off remove them if possible before you go through the line. Disneyland security lines aren’t hard to get through as long as you are ready. Take advantage of the offered magic hours if you are able to. Doing this will allow you to check out the most popular attractions in the parks without having to stand in the really long lines. Lines during magic hour are much shorter than the lines during the rest of the day. I know that there are many things you would like to take with you during the day while you are out visiting the parks but, the key is to pack light. Make sure you have the bare minimum (phone, sunscreen, snacks, water bottle, etc…) to get through the day. While lockers are available for rental there will be things you want to keep on you while you are walking around so make sure your bag is light. Also, remember that Disneyland typically doesn’t allow snacks. A few small items in your bag is one thing, but no coolers are allowed. So, pack light on the snacks. It is also wise to pack a small first aid kit. Things like ibuprofen, Benadryl, band-aids, etc. in a baggie or small makeup bag in your backpack or bag are a must. They are available in the park but can be pricey. Download the Disneyland Mobile App. Here you will be able to see restaurant menus, buy your park tickets, ride wait times, character locations and park maps plus so much more. Having the app on your phone will make your trip much easier. Plus, if you have the MaxPass the Disneyland Mobile App is necessary. Fastpass lets you put your ticket into the machine at the designated ride and it gives you a one-hour time frame to return and get into the FastPass line with minimal waiting. Each ride has a limited number of fast passes per hour of the day. It is also very helpful if your group has one FastPass manager. It is easier if one person can stand in line for the FastPass machines and keep the reminders on them. This way there is no confusion and everyone in the party will have the same return time frame. Rider Switch pass is perfect for those with littles who do not do while standing in line or are too small for the rides. It allows one person to stand in line and ride the ride then, the person who was with the other kids to switch places with the person who just got off the ride and rides it as well. The Dole Whip line can get pretty long. Your best bet is either hit it as soon as it opens or if that isn’t doable for you and a mid-day snack works better than you can try to hit the stand inside the Enchanted Tiki Room where the room is usually a bit shorter. It is a classic treat, and not too bad when it comes to calories. So, make time to wait and enjoy this treat. You won’t regret it! Everyone loves souvenirs! The problem with Souvenirs is that they are typically pretty pricey. You can easily buy the souvenirs in advance and already have them before you even arrive at the park. If you decide to shop at the stores in the park, take advantage of things like unique to the park only items. Skip the trinkets, and get autographed items, Disneyland ears with kids names embroidered, and pins to trade. If you make purchases during the day but don’t want to carry them around, you can take them to customer service at the front gate and they will hold them until the end of the day. It’s a great way to free up your hands, and have everything on hand when you are ready to leave the park. It is very easy to get separated from anyone in your party. Before entering any of the parks and rides, be sure that you have a plan in place in case anyone gets separated. Be sure that your children understand what to do if they find themselves in a situation where they become separated from you. Disneyland is one of the best places for those situations. So many cast members on every corner, it is a simple process for you to find your child. Make your meal reservations ahead of time. This will maximize your time in the parks as you are not spending time deciding where everyone wants to eat. We recommend enjoying then Blue Bayou Restaurant and the Monte Cristo. It can be busy, but well worth making a reservation in advance. Another cheap and easy restaurant is the Rancho del Zocalo. It doesn’t require a reservation but is an excellent choice for those days when you want a substantial meal, but don’t want to spend a ton of money. Plus, they offer great gluten free options and many allergy-friendly options. 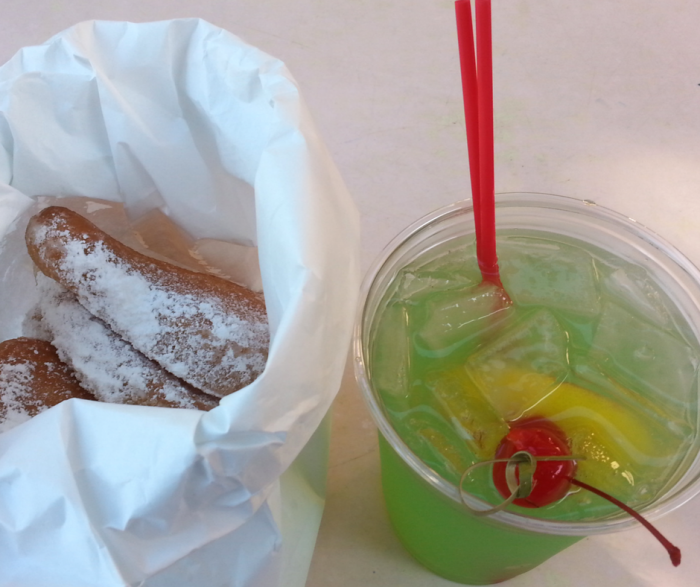 If all else fails, grab some beignets and a mint julep in the French Quarter to add a flare of delicious food to your day! If you are in a line for a ride when the park closes, stay there! You will get to ride the ride because you were already in line. They close off the end of the line, but those in line will still get a chance to enjoy the ride! 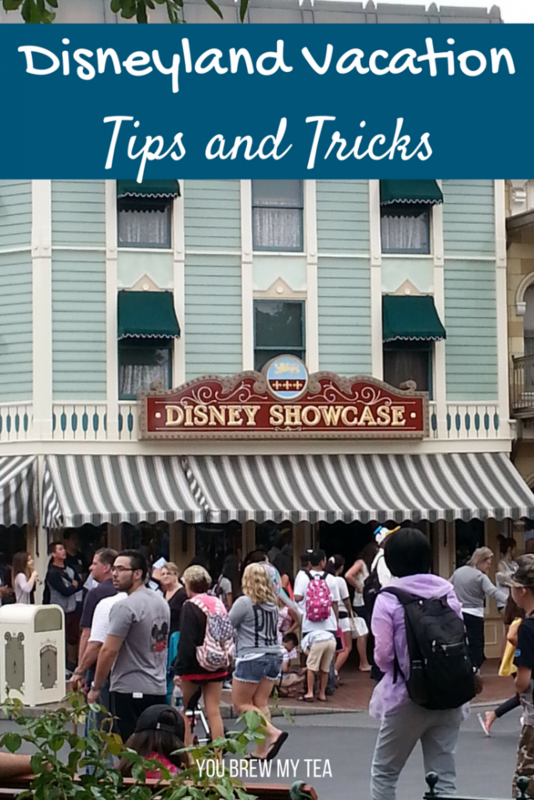 These tips for managing a Disneyland vacation are just what you need as you look to planning your next vacation. You’ll love your time with your family, and you’ll easily be able to spend the best hours of the day on rides and creating great memories.